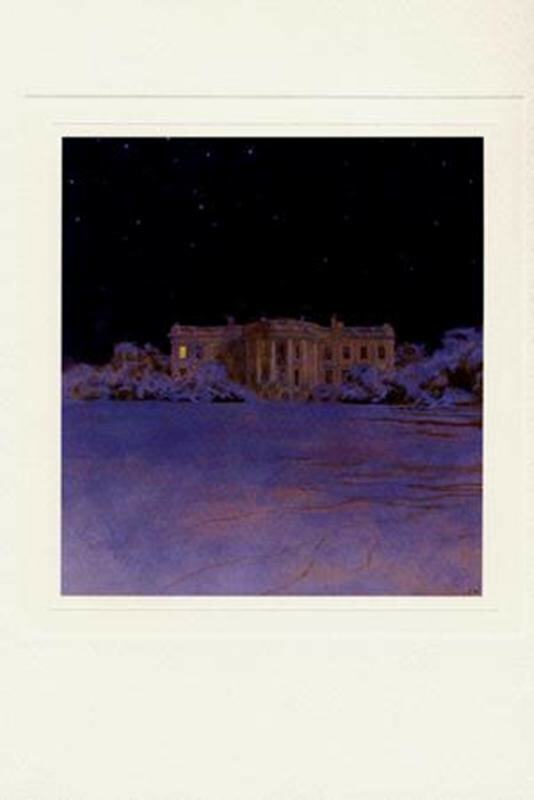 Official Christmas card of President Ronald Reagan. 1981 Christmas Card. Christmas Eve at the White House. Printed by Hallmark. Art by Jamie Wyeth. 65,000 cards printed. Sentiment: "The President and Mrs. Reagan extend to you their best wishes for a joyous Christmas and a peaceful New Year" The light in the White House was Nancy Reagan's dressing room.